Is your business networked? Do you depend on your technology? Netux managed IT services perform skillfully, offering you maximum ROI and a predictable IT budget. What more can you ask for? 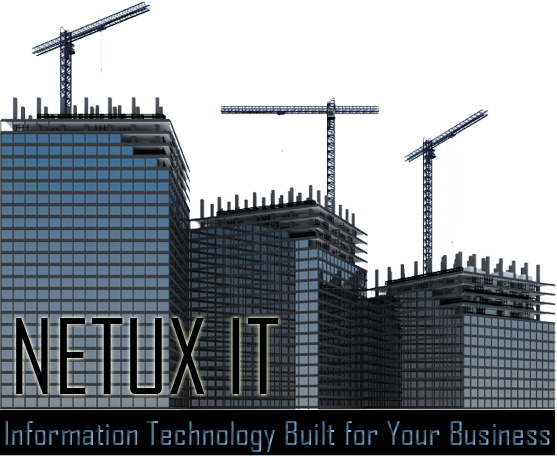 Call Netux today to see how Netux Managed IT services can work for you. Simplify and empower your business communications with Netux Unified Communications. Have voice, video, messaging, faxing, calendaring and email operate in harmony. Business automation and information tracking and analytics are more with Netux. Our solutions are built on proven and growable technologies. We work on projects of all sizes. You make your business run, we make it fly. Call Netux today. Let Netux give your company's web presence a facelift. Don't let your first impression be a bad impression. Outdated and unprofessional web sites give customers the wrong impression. Contact Netux today to get started on a web site that defines your image.